Hidden in contract boilerplate, forced arbitration agreements sign away the right to your day in court. We are becoming the arbitration nation - and giving up constitutional rights. Forced arbitration denies your constitutional right to a trial by jury. It's like a virus in the U.S. marketplace – hard to spot, but spreading fast. Forced arbitration agreements can be found in just about every contract a consumer signs these days – tucked into on-line software agreements, hidden in the boilerplate of cell phone deals, indecipherable in the blizzard of paperwork you sign to start a job. Quietly, these mandatory arbitration agreements have put rank-and-file consumers at a disadvantage, forcing them to give up the right to file a lawsuit and instead letting arbitrators, typically paid by the wrongdoing company, settle disputes. The arbitrator’s decision is binding on all parties, is not subject to any established rules of court or existing law, and cannot be appealed for legal or factual errors. Keep in mind: Not all types of arbitration are bad. In some circumstances, the work of a trained arbitrator can help wealthy individuals and businesses resolve complex business disputes quickly and efficiently. But forced, predispute arbitration agreements in consumer cases are devastating tools that businesses use to block consumers' access to the courts. “Lost in the Fine Print,” narrated by economist Robert Reich, tells the story of Americans victimized by forced arbitration clauses in contracts.. Forced arbitration agreements are hidden in virtually every consumer contract. 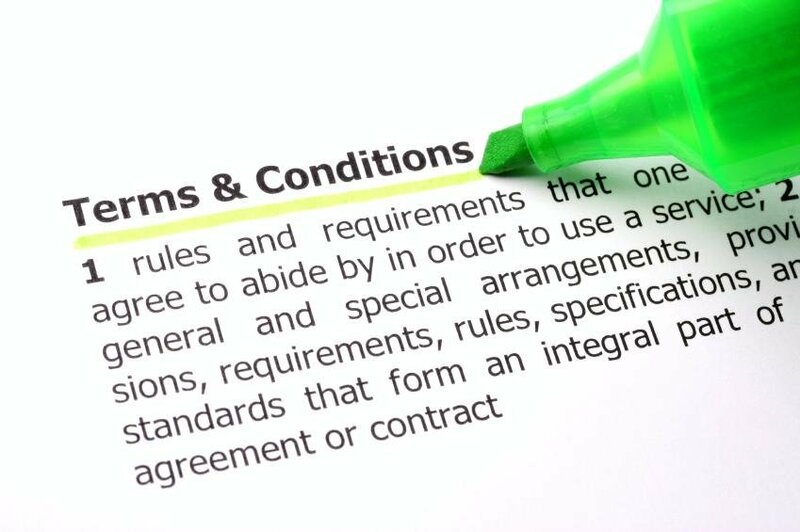 Businesses often present these contracts as “take-it-or leave it” offers, and there is no chance to opt out of arbitration agreements. The arbitration agreements force consumers who have been harmed to submit to arbitration and pay legal fees that are often higher than the amount in dispute. It puts big businesses at a huge advantage against individual consumers. Even when consumers can afford to pay for private arbitration, that process often proves to be a hostile environment for consumers. Private arbitrators have more discretion than judges, allow less factual investigation and often favor parties with arbitration experience. The proceedings are held behind closed doors and are a secret proceeding. No case law is established and bad practices are shielded from public scrutiny. Some arbitration agreements even allow the business to pick the arbitrator without any input from the consumer. Consumers often lose hurried arbitration proceedings with incomplete factual records and have to pay both parties’ legal costs. Until very recently, California courts refused to enforce arbitration agreements that would prevent consumers from filing class actions, reasoning that such terms were unfair. The California Supreme Court’s policy allowed consumers who had suffered small damages as a result of a business’ standard operating practice to sue collectively without going through arbitration. These types of small-dollar consumer class actions hold businesses accountable for illegal business practices that would not otherwise be halted. But that changed in April 2011 as the United States Supreme Court overturned California’s arbitration rule and ordered California courts to enforce all arbitration agreements whether fair or not. In AT&T v. Concepcion the Supreme Court ruled that a group of people trying to recover fees of approximately $30 per individual had to move forward separately and utilize arbitration, not as a unified class represented by attorneys in a court of law. The Supreme Court’s decision effectively allows corporations to engage in unlawful business practices that cost consumers relatively small amounts of money that cannot realistically be recovered through expensive arbitration proceedings. Many corporations have responded to the Supreme Court’s Concepcion decision by adopting even stronger, harsher arbitration clauses. CAOC believes that it is important to protect consumers’ Seventh Amendment right to trial by jury, and is working to undo the damage that the Concepcion decision caused for consumers. Big businesses should not have free rein to deceive or overcharge consumers for any amount of money, no matter how big or small. In 2015, the California Labor Federation and CAOC partnered to target forced arbitration in employment agreements. In many instances, job seekers are too often given a "take it, or leave it" choice by prospective bosses as a condition of employment: They must either sign a contract agreeing to arbitration for any dispute. They are effectively forced to sign away their fundamental legal rights. AB 465 (Hernandez) would have fixed the persistent problem of employers including forced arbitration as a condition of employment. The measure, which would have ensured worker consent, passed both houses of the Legislature but was vetoed by Gov. Jerry Brown. But the next year, Gov. Brown signed two CAOC-backed bills to help consumer facing forced arbitration. SB 1241 (Wieckowski) ensures that Californians do not have to travel outside the state to litigate or arbitrate an employment dispute. It also requires that a hearing in these cases follow California’s employee protection laws, not the laws of other states that often have weaker. SB 1065 (Monning) speeds the appeal process for dying seniors when a judge denies forced arbitration in cases against nursing homes. In 2017, Gov. Brown signed CAOC-backed SB 33 (Dodd), to prevent another Wells Fargo-sized banking fraud scandal by allowing consumers to fight financial institutions in court instead of secretive arbitration over cases involving bank fraud.